Standard Drug Stores offers treatment to patients suffering from diabetes. It is a privately owned store and a full-time service pharmacy, which provides all kinds of facilities to patients. 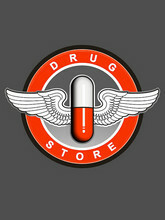 The store provides everything needed by the patients as it is a chain of Standard Drug Company. The drug store also offers varieties of services such as hospitals, billing rental as well as leasing. It offer patients with different products such as diabetic supplies, incontinence supplies, orthopedic supplies, surgical appliances, walkers, wheelchairs, support house and stockings and lots more. According to present estimates it has annual revenue of $1 million to $2.5 million. There are currently 0 consumer reviews about Standard Drug Stores available. Share your review. Please take a note that you are about to post a public review about Standard Drug Stores corporate office on CorporateOffice.com. This review will be public, so please do not post any of your personal information on this website. If you would like to contact the corporate offices of Standard Drug Stores, please use their contact information such as their phone number, website, and address listed above to contact them. However, sometimes staff from Standard Drug Stores headquarters do read the reviews on this website.